Mutant Super-Soldier Clones- Take 1! 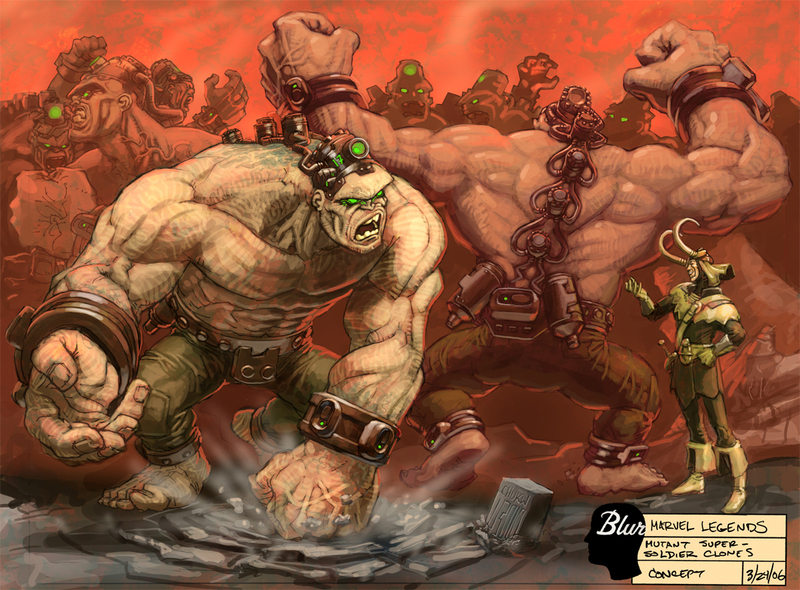 I envisioned these hulkish brutes as huge and apelike. thatunfortunately didn't match the in-game play and we had to modify the concepts.... from Marvel Ultimate Alliance.